Panda VPN is the new VPN service by Panda Security, which is mostly famous for Panda Antivirus, its flagship product. So, that’s another antivirus heavyweight launching its 2 in 1 solution: Antivirus and Virtual Private Network (VPN). 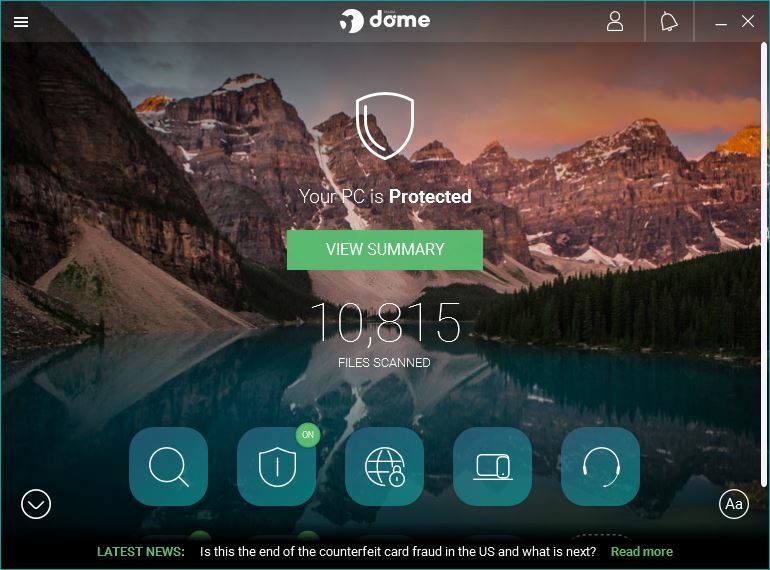 Let’s have a look at this intuitive VPN that offers an integrated protection with not many technical features. 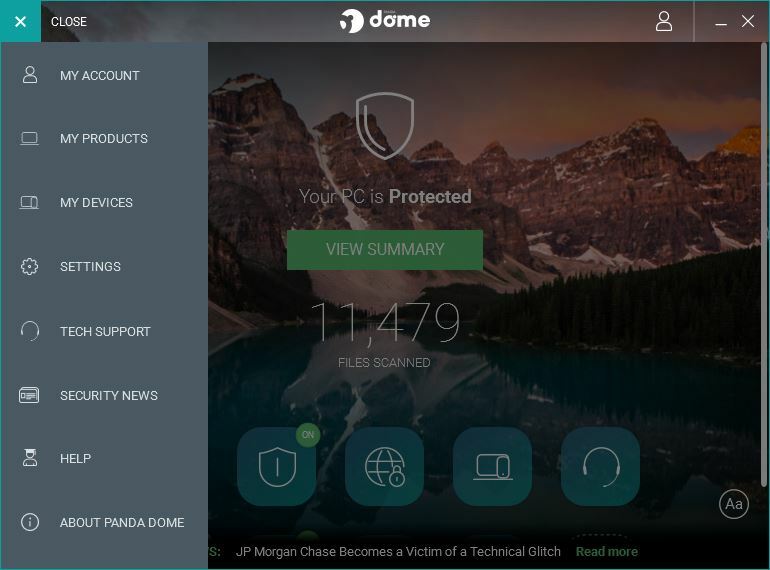 Let’s start this Panda VPN review with a fact: More and more often antivirus producers decide to offer a Virtual Private Network in addition to their basic service, such as Avast or Avira. Some of them decide to work in partnership with a specialist of this field. While others prefer to develop their own solutions internally. Because it’s important to remember that antivirus and VPN complement one another. The first one protects your device, the second one protects your internet connection. And both protect your privacy! On one hand, it makes sense to integrate both safety services in one software. For example, it may happen that some VPN are not compatible with some antivirus or firewalls. This kind of solution can solve this problem while making things easier for users. But on the other hand, an all-in-one solution may not be enough for skilled users. Because each company has strong points and weak points. Sometimes an additional feature may offer limited benefits, compared to the real deal. So, what about Panda security VPN? In order not to make any mistake, the company decided to work in partnership with HotSpot Shield. And I remind you that it’s one of the leaders on the market of VPN. So, Panda Antivirus, a leader on the market of antivirus for a long time, now includes a very competitively priced VPN. Not forgetting that you can connect 5 devices simultaneously to protect all your devices. After a long negotiation with Panda Security VPN, I managed to get a special offer for the readers of thebestvpn.uk. Using this link, you will get a 25 % discount ! It’s free! Oh boy! When I started writing this Panda VPN review, I could watch US Netflix and stream UK Netflix as well. And I was confident this could be a good solution. But I double-checked this morning before publishing. And it’s not working any longer… So I can’t recommend this VPN if you’re a Netflix subscriber, obviously… And you’d better look at my Netflix VPN to make sure you get what you need. Panda VPN does not save logs and does not ban torrenting. So, you can download torrents in a stable way and, as explained in this post, the software enables to bypass the P2P filters implemented by your Internet Service Provider (ISP). Exclusive discount for all subscriptions to Panda Antivirus with integrated VPN. Although Hotspot Shield has a kill switch function, I didn’t see any piece of information about it in Panda Dome VPN. So, I’ll assume there isn’t any. And this is not a good thing, especially if you want to use this VPN to download torrents. I remind you that the kill switch protects you in the event of a drop of your VPN connection. The key point of this software is the Panda antivirus, which is included in the price. The client includes all features of a complete antivirus suite. And other specific options, such as the active USB protection, or the process monitor and a rescue kit. 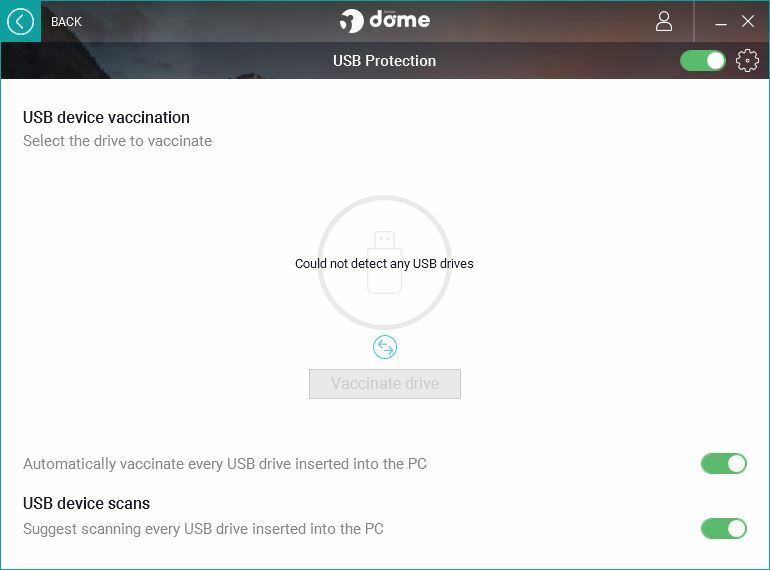 You must install the Panda Dome software, which includes all antivirus and VPN features, to use Panda VPN. The interface of the client is rather pleasant and user-friendly. I just don’t know why the designer decided to use a scroll bar for the dashboard… The homepage displays the status of the antivirus and the results of the live analysis of your files. On the bottom of the window, there are the icons to access all the features. And you can see which services are activated in a blank of an eye thanks to the ON badge on the icons. The interface of the VPN is completely standardized, with the indication of the status, a list of the servers organized by country and a Connect button. You can let the software choose the server that best suits your location thanks to the Automatic option. And you will enjoy the best performances according to your location. And if you have special needs, you still can select a country in the drop-down menu. Very easy. As soon as you connect to a new server, a notification appears above the task bar. This way you can ensure that everything works properly! 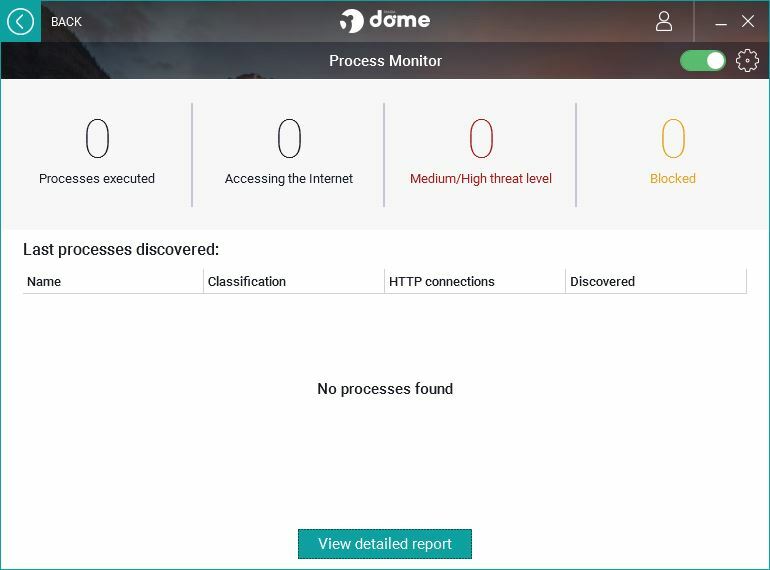 Of course, there are options in the Dome software. But the part dedicated to the VPN is almost inexistent… You can only decide to launch the VPN when Windows starts. And connect automatically to a favourite server. That’s all. Quite light, in my honest opinion. Just one word about the Panda Safe Web extension that gets installed at the same time as the client. The extension is available on Internet Explorer, Firefox, and Chrome. It enables to block the ad tracking and the ads and to protect your PC against phishing and malware. I personally do not like the extensions that automatically install. If you decide to uninstall it, you still will be able to fully enjoy the Panda Security antivirus and VPN. It’s just an extra service! The protected browsing and multi-login make it an interesting solution. But it will be less useful for those who look for a VPN with no antivirus or other « gadgets », but with more configurable options. And if your primary use of a VPN is to unblock streaming websites, this VPN is definitely not for you! Panda VPN is the new VPN service by Panda Security, teh Spanish company. It's mostly famous for Panda Antivirus, its flagship product. So, that's another antivirus heavyweight launching its 2 in 1 solution: Antivirus and Virtual Private Network (VPN). Panda VPN is a simple VPN solution integrated to Panda Antivirus. It is suitable for all those who need an easy-to-use VPN to surf anonymously and download torrents. But not to watch online streaming, because most servers are banned. Panda Security has been a trusted security provider for a long time. The antivirus is also very effective, along with this VPN service. Really informative post this was. Glad I visited your website and saw this. Keep posting.